Making for the cypress and cactus-studded coast south of the Athenian capital, Athens Riviera lies at the very end of a long necklace of marinas and chi-chi eateries. 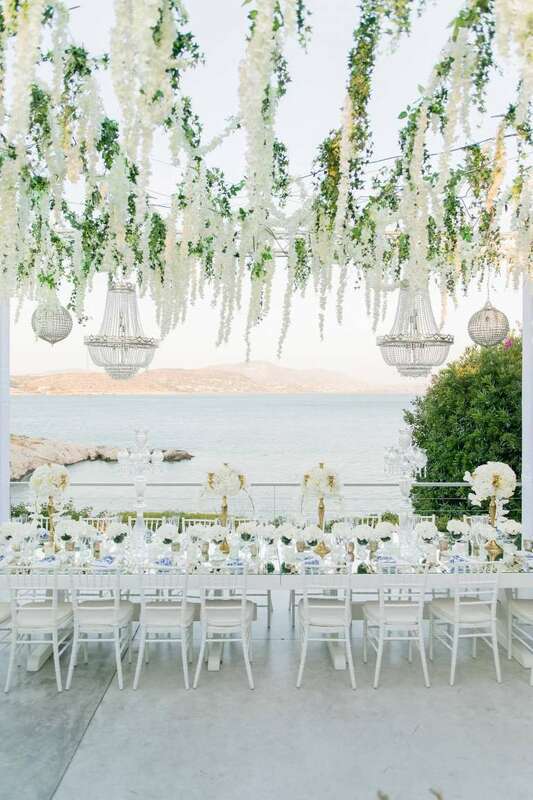 Island C-lounge, the landscaped garden of Island Athens Riviera was just the place for Eden and Christopher to have their white luxury affair, among trees that cascade down the private beach of the famed promontory, and shades of royal blue blinking under the sun. 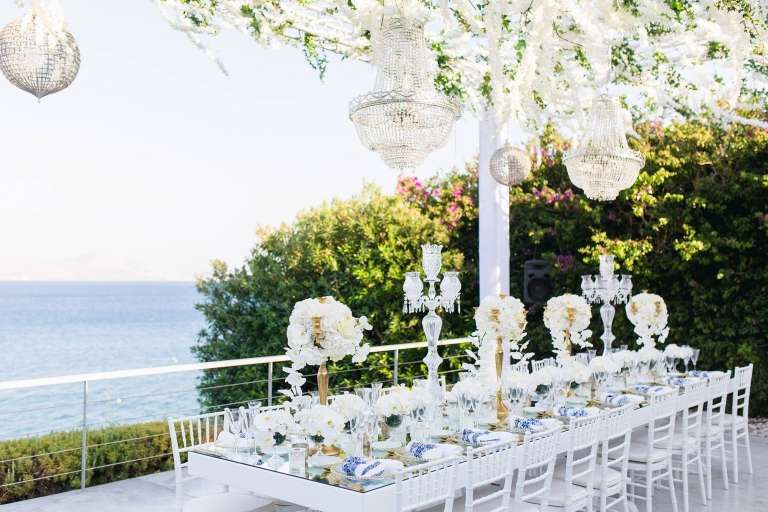 An intimate celebration on the low-slung garden, minimalist in hues, sparkling whites, golds and a touch of something blue was the couple’s vision. 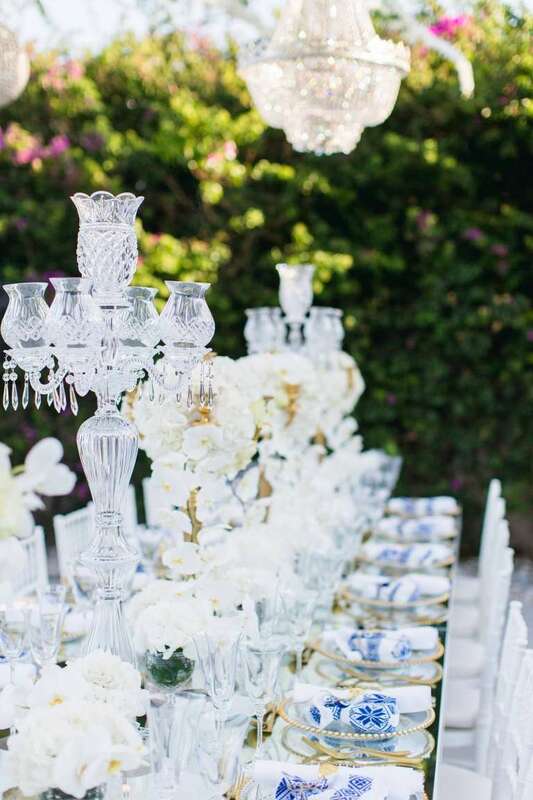 Our bride and groom wanted something truly elegant and tasteful to reflect their personalities, without detracting attention from the elemental beauty of the landscape and the smoldering sunset flickering ahead. We only implemented the couple’s palette with touches of camelia pinks and pepper berries, while allowing for orchid and garden rose arrangement beauty to shine througout their ceremonial arch and intimate reception. 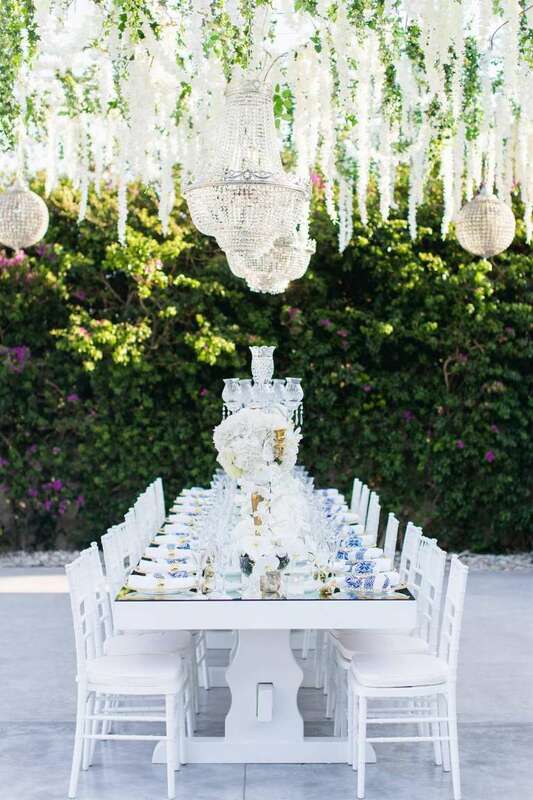 Next to the classical buffet and table we added some modern, organic touches and minimalist wooden accents to give a little edge to the couple’s indoor dessert stations, and kept their opulent flair with massive florals and candle shines. View more below as captured by the Eden and Christopher’s wedding photographers Wedtime Stories.